Family Activities - Old McDonald's Farm, Inc.
Old McDonald’s Farm, Inc. is located on a 68-acre farm that is a safe, beautiful educational site for children. Ask about our Day Visit Program, The Summer Programs, Special Programs and the Farmer For A Day Program. OMF is a nonprofit, children’s charity. We provide hands-on, structured programs using animals, agriculture, gardens and natural resources as educational tools. We are located just 30 minutes from Portland and 12 minutes from Gresham! Enjoy a tractor pulled-hayride around our beautiful farm with your family. You are welcome to bring your own drinks and snacks. What a fun way to spend a warm summer night. We are happy to work with you to make this a fun, memorable, family time. This would be a fun activity for birthday parties, anniversaries, family reunions or after you camp out for the Farmer-For-A-Day program. The hay wagon can accommodate up to 12 average size people. 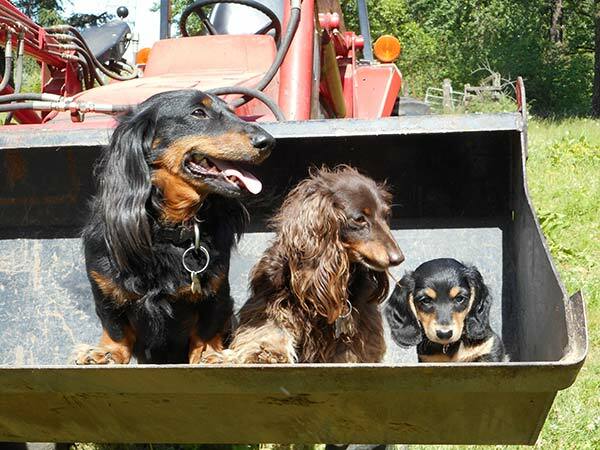 It takes roughly about 30-40 minutes to enjoy the views on the farm from the vantage point of the hay wagon. Please call us today to schedule. And remember, you can feel good about your funds supporting educational programs for children with our nonprofit children’s charity. Please call 503/695-3316. 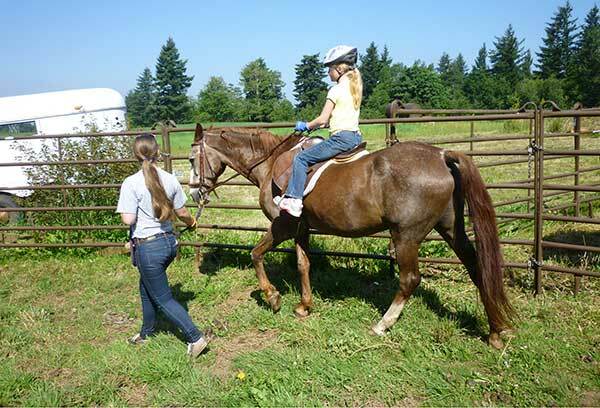 Learn respect, responsibility and valuable life skills while you learn all about horses. You can learn to ride either western or hunt seat. We specialize in “new-to-horses” folks. We emphasize safety, safety and more safety! Lessons are available spring, summer and autumn. Please schedule an appointment each time or make prior arrangements for a set schedule. The cost is $50 per person per hour. What a great idea for a gift for a friend. Please call 503/695-3316. What works for most families is that they pick one of the Day Visit Program packages (under Children’s Programs on the Home Page) to meet and learn about our 30+ farm animals and then add on extra time to enjoy a bite of cake and to open gifts after the class. We have tables and seating. You provide the cake, food, table cloths and party favors. We can accommodate hundreds of folks with our outdoor spaces and up to say 40 in our indoor spaces. There are many options and many opportunities such as horse riding lessons, family hay rides, enjoy a barbeque in our under-cover, wood burning barrel stove or our outdoor fire pit, hikes, etc. Please call to make reservations and to ask any questions that you may have. Our office number is 503/695-3316. Enjoy a fantastic family reunion, birthday party or company picnic at Old McDonald’s Farm, Inc. Nestled among 68 acres are our 30+ farm animals, forest, raspberry fields and a trickling stream in the Columbia River Gorge area. 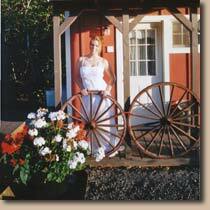 Our picturesque Farm is ideal for your special day. The Farm’s amenities include a cozy family sleepover, rustic schoolhouse, outdoor fire pit, restroom facilities, a garden, a farm store and lots of green space. We are conveniently located just 25 minutes to downtown Portland. 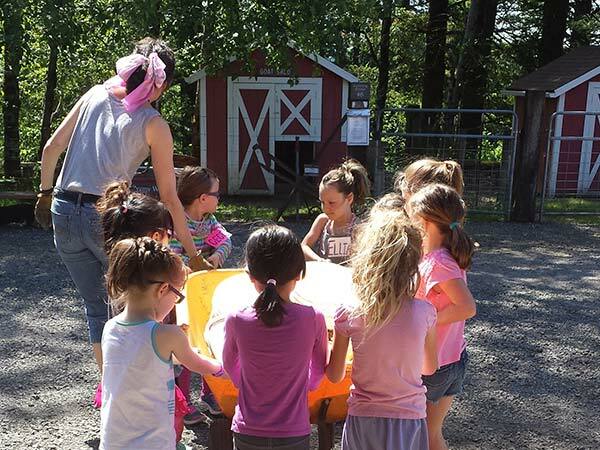 When choosing Old McDonald’s Farm, Inc. for your special day, you will also be supporting a local non-profit organization dedicated to providing children in the Portland metropolitan area healthy life experiences utilizing animals, agriculture gardens and natural resources as educational tools. Plenty for your family and friends to do such as see the 30+ farm animals, rope a cow, climb on a tractor, play horseshoes, enjoy the fire pit, shop in the farm store and more. Horse rides, hayrides, a bar-be-que in our fire pit and more is offered now! Also, u-pick seasonal berries, fresh or frozen berries, seasonal vegetables, hand made-items and antiques are available in our Farm Store. Have a memorable wedding day…imagine the bride in white riding in on a black horse. For a memorable wedding day, we hope you will think of Old McDonald’s Farm, Inc. Nestled among 68 acres of native forest, raspberry fields and a trickling stream located in the Columbia River Gorge area. Our picturesque Farm is ideal for your special, rustic wedding. The Farm’s amenities include a beautiful outdoor fire pit with seating for about 60 people, restroom facilities, a school-house to change clothes in or it has a refrigerator and a sink for the caterer, a garden, shade any time of day and lots of green space. We are conveniently located just 25 minutes to downtown Portland. Other opportunities include: horse rides, hayrides, a bar-be-que in our fire pit as mentioned and petting the animals. Also, u-pick seasonal berries may be available. Likely, seasonal vegetables and hand-made items are available in our Farm Store too. Please give us a call at 503/695-3316 or send an email with inquiries to omf@oldmcdonaldsfarm.org. The Pumpkin Pick Fall Festival at Old McDonald’s Farm, Inc.
Come enjoy our beautiful farm and meet the farm animals! This is a wonderful family event unlike any of the other giant pumpkin patches in the area! In this beautiful farm setting, your child will meet 30+ animals including horses, cow, goats and pick from a variety of homegrown pumpkins or gourds. Some of our pumpkins and/or gourds were grown by a former, Special Needs student of ours who is now our Staff and a Board member. This is a fundraiser for our nonprofit, children’s program so please spend generously at our Farm Store too. We are an educational program for at-risk children and youth. We have shirts, coloring books, jam and lots of handmade items too. It is always on the first weekend in October. Please join us! Please bring cash, it is easier and much faster for you, but we do take cards also! Thanks. Please RSVP on Facebook (click on it from our Home Page) for our Pumpkin Pick so we have an idea of how many volunteers and how much food we will need. Please click here for directions. We hope to see you out at our Farm Program for children! New this year from Old McDonald’s Farm, Inc. Enjoy a beautiful, small, intimate High Tea with your family and friends. 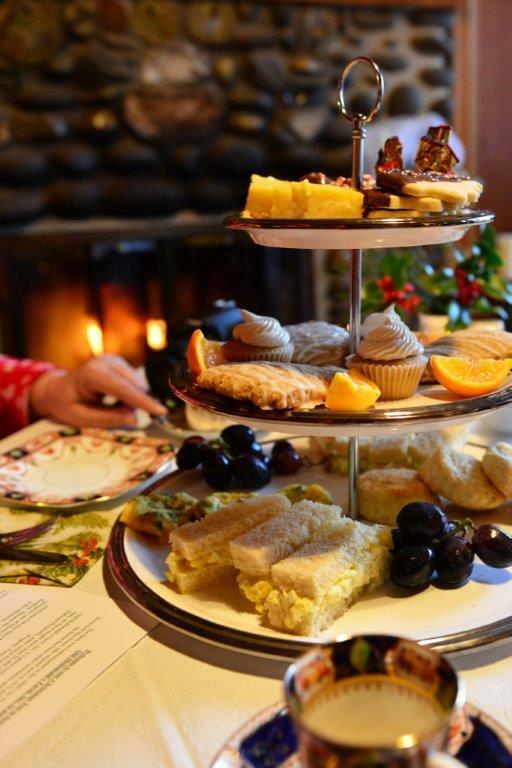 We will bring a lovely Christmas Tea to your place or ours…on a date that works for you. Please help our non-profit, children’s program to scholarship low-income children by making a generous donation of $500 or more. If each person in your group of eight gave a small, year-end contribution and filled up one Christmas Tea, those funds could sponsor two children to go to our Summer Programs next year. As a thank you to you for your generous donation, we will bring the High Tea to you. We will decorate for the Tea, bring the décor, bring the servers, the table, table cloth, chairs, beautiful tea cups and saucers, tea and pots, beautiful, fancy food, etc. all for up to eight (8) people. This is a new and unique opportunity just for you and your family or friends. Help us help children and feel good about making a tax-deductible donation to our local non-profit, children’s charity. OMF, Inc. is a grass-roots program that serves Portland area children. We use farm animals, gardens and rich, natural resources to teach children and reach their hearts with valuable, life lessons that help them be kind, capable, respectful, hardworking and resilient. Animals (including horses and our cow), gardens and the environment are good teachers in reaching the heads and hearts of our children. It is just is an expensive way to teach children; housing and feeding 34 farm animals is lovely but expensive. There are many worthwhile life lessons that are taught in working through our academic activities and curriculum. Please help us help our local kids in this amazing and unique way. We will only be able to do four of these Christmas Teas during the holiday/winter season. Your early reply gets you the choice of the best and available dates. We thank you. 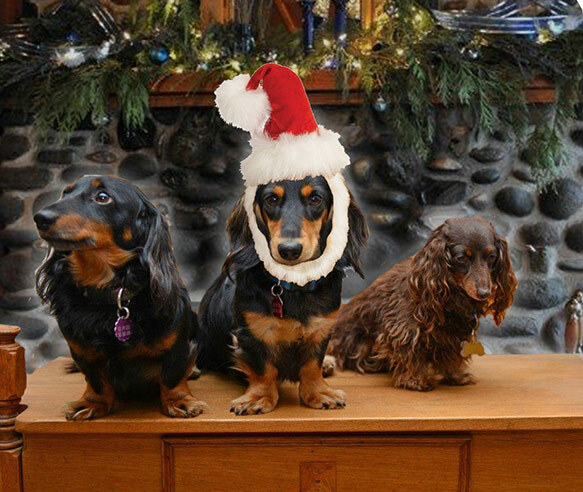 Happy Holiday Season to you!